Wakayama has a good network of bus routes that snake through the mountainous prefecture. While buses might not be as frequent as in larger Japanese cities, the steady and reliable service makes it a good option for getting around. Purchasing one of the available bus passes makes getting around even easier. 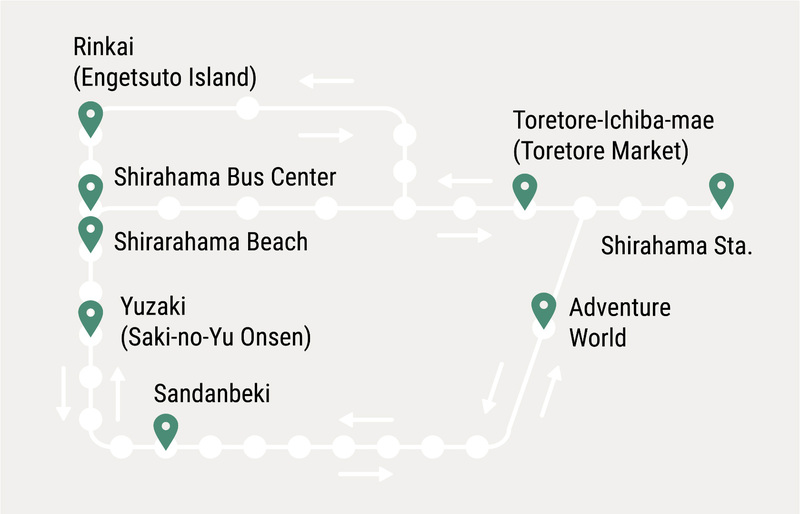 There are one, two and three-day unlimited ride passes in areas such as the beach and onsen resort of Shirahama, and designated sightseeing bus passes that shuttle visitors between the spiritual sites of Koyasan and the Kumano sanzan grand shrines.